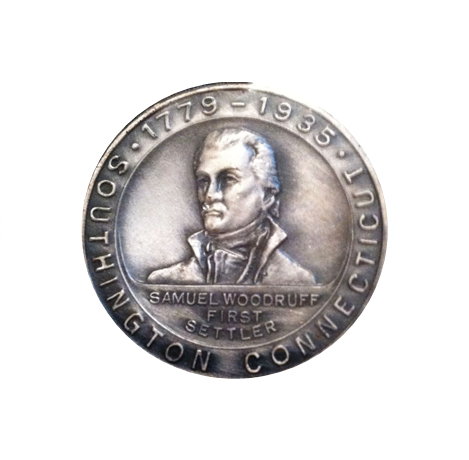 Samuel Woodruff is known as the “Father of Southington.” In 1698 he was given permission to travel here from Farmington and set up a residence and eventually a small farm. He was one of the first permanent white settlers in town. 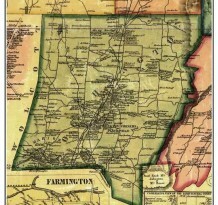 At the time, Southington was still part of Farmington, which was known as the “Mother Town.” It wasn’t until the 1720s that people in the area would petition religious leaders and officials in Farmington to set up a church or meeting house in what eventually would become known as the South District or South Parish, which also was called South Farmington. It was shortened to Southington in 1779 when the town was incorporated as a separate entity from Farmington. Still another early name for town was Panthorn, which was a reference to overworked oxen who were panting right down to the ends of their horns. Woodruff, who eventually settled in a large parcel of land near what is today Joseph A. DePaolo Middle School, built a fort where Calendar House Senior Center is located. The fort was built to protect residents from nearby bands of unfriendly American Indians. A replica of the door to the fort is on display at the Southington Historical Society’s museum at 239 Main St. However, the fort situation proved moot because Woodruff was a muscular man who was more than six feet tall. Leaders of American Indians that still lived in Southington respected and perhaps feared him because he was willing to wrestle young American Indians to show how powerful he was. The First Meeting House was a simple structure where local residents could worship in peace. The erection of such a building meant they no longer had to travel back and forth to Farmington center to go to church there. 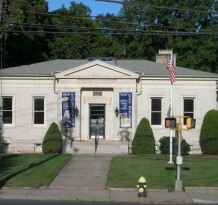 It was built in an area that originally was referred to as the center of Southington. Today, Oak Hill Cemetery is located there. 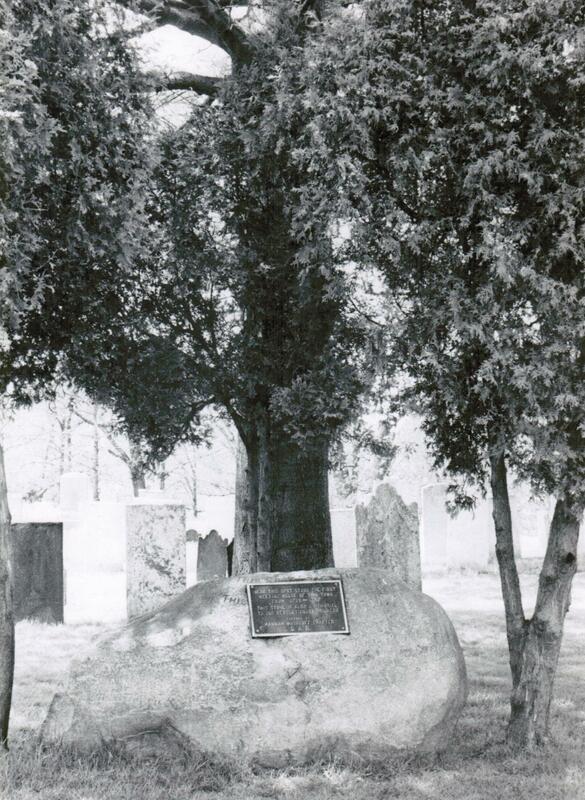 A larger boulder with a plaque marks the spot where the First Meeting House stood until 1757 when the Second Meeting House was built. As time went by, more and more residents near Oak Hill felt they could safely travel around the area. Residents began to settle and build homesteads in the area about a mile south of Oak Hill, most notably Jonathan Root, who built his good-sized center chimney colonial home in 1720 at the corner of what eventually would be North Main and Mill Streets. Root established a small tavern business at the location. Today the structure is the office of local attorneys Bryan Meccariello and Shari Bornstein. 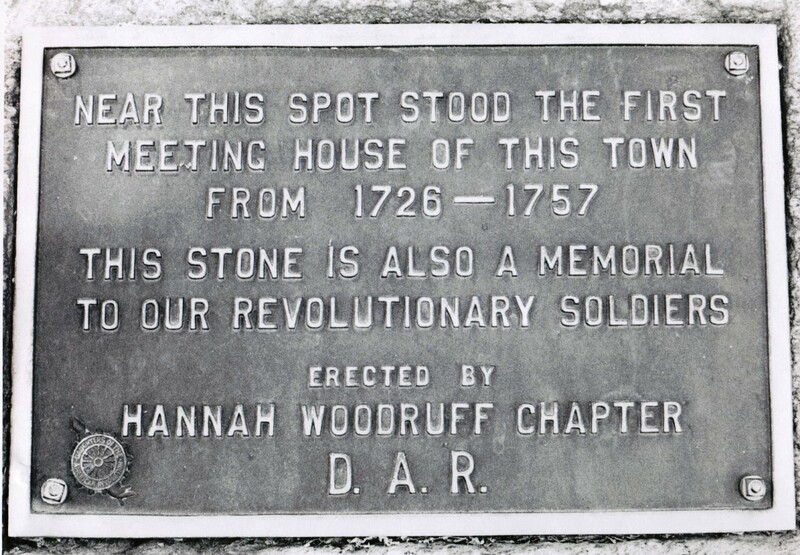 Not only is it noteworthy as the oldest home still standing in Southington, it also is historically significant because Gen. George Washington stopped at the old tavern on his way to Wethersfield to meet with leaders and officers of the fledgling American independence movement. 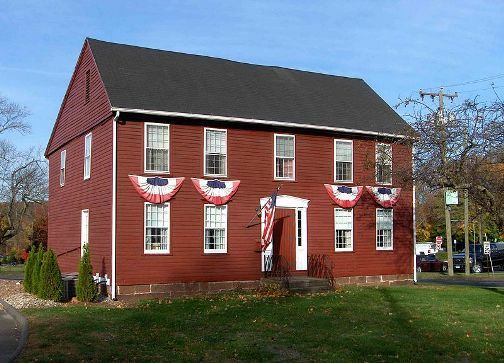 More and more structures and businesses were built along North Main and Main streets in town, including the Third Meeting House of Southington which was built from 1828 to 1830 on Main Street in what today is Southington center. 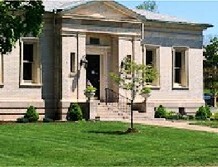 The elegant white-spired building also is called the First Congregational Church. 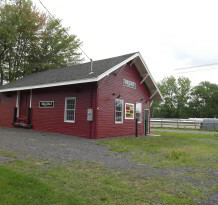 Its location there cemented that area as Southington’s business district. 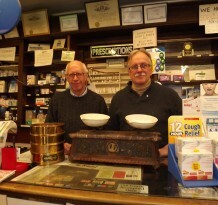 During the early history of Southington, businesses were established at other regions of town. 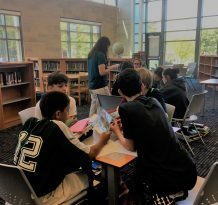 Some of these sections had their own identity, their own schools, post offices and businesses that set them apart from the government center known as Southington. Today the sections of Plantsville, Milldale and Marion are well-remembered and literally could be separate towns in many ways, while other sections – South End, Flanders, Mount Vernon and Patton Brook have faded from reference.